I don't have the most awesome feet in the world. Even so, I'll choose to wear my ever-reliable pair of tsinelas more than shoes. They are not only comfy but they are also practical to wear especially this rainy season. 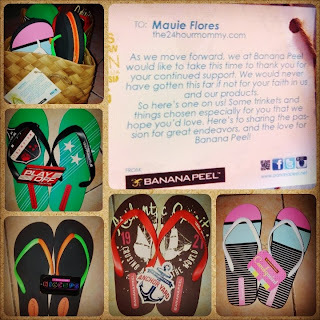 This is why I was so delighted when I received this package from Banana Peel! Flip flops for me and the boys. Thank you, Banana Peel! Banana Peel believes that kids are travelers at heart, and the world is a place with each nook and cranny waiting to be explored. Thus, it designed a wide array of stylish kids' flip flops that will surely complement any kiddie outfit. Each pair of Banana Peel kids' flip flops is made only with eco-friendly and child-safe material.Collections range from plains, and prints: with princesses, princes, fruits, animals, robots, amongst a whole mob of fun characters that kids would adore. Of course, there are more styles to choose from. 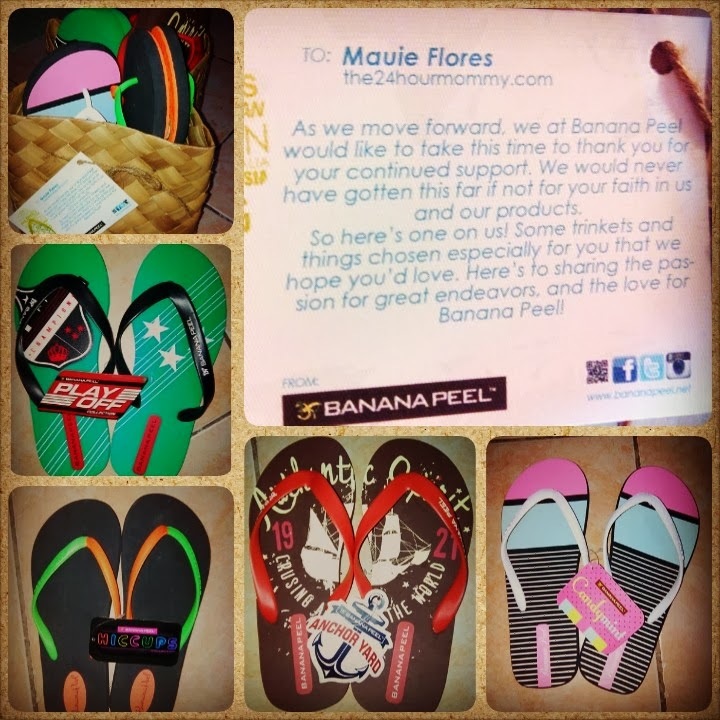 To view the rest of their designs and be updated on the latest news, visit www.bananapeel.net of follow Banana Peel on Facebook (BananaPeelFlipFlops), and on Twitter and Instagram (@bananapeelofcl).